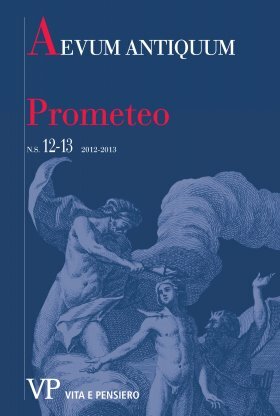 This paper focuses on the two most significant works that the young Goethe dedicated to the figure of Prometheus: a poem and a dramatic fragment. Both of them are very important and significant documents of the Sturm und Drang rebellion against the cultural, artistic and religious traditions that characterized the context in which Goethe grew up and in which he became aware of his identity as an artist. On the one hand we see the artistic genius who refuses any form of constraint or rule and acts as a titan, on the other hand, thanks to these texts, it is possible to detect the first signs of an artistic and human evolution that will lead Goethe away from the arrogant titan to the classical ideal of harmony, measure and awareness of human limits.